Stunning Custom built home by Grande Custom Builders finishing August 2019. 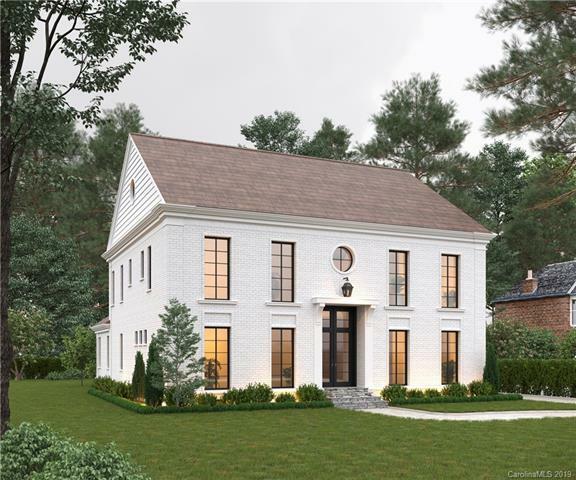 Traditional yet modern in feel with a tumbled brick exterior and dark metal windows & doors. This home features a 15 foot ceiling in the Great Rm with transom windows over the covered porch, library w/ built-ins behind the fireplace & a wall of glass doors in the Great Rm & DR that slide back to enjoy a great indoor/outdoor experience for entertaining. Cozy up to the outdoor fireplace on the covered porch w/ flagstone flooring. Kitchen island has waterfall edge & cabinets have brushed brass hdwr. A beverage/food prep area is off the kitchen.The master on main will have a soaring vaulted ceiling w/ french doors that open to the stone terrace and access to the owners retreat/study/exercise room. 4 bdrms upstairs wi/ a laundry room, den/media room, study/office, and a walk up attic. There will be a detached 2 car garage in the back w/ space for a pool option. Design features subject to change. See brochure link.